CHICAGO — April 22, 2019 — When Virgin Voyages’ first ship, the Scarlet Lady, embarks on her inaugural season in 2020, Sailors will have access to extraordinary brews from Intelligentsia Coffee. The specialty coffee pioneer and Virgin Voyages’ partnership will be rooted in shared values of commitment to quality and responsible sourcing. Coffee lovers should rejoice because Virgin Voyages Sailors will never have a bad cup on their holiday. Virgin Voyages’ exclusive Intelligentsia blend will be available complementary at all eateries on board Scarlet Lady and her sister lady ships. The Virgin Voyages Blend sources fresh coffee year-round, from Intelligentsia’s Northern season menu in the summer and fall and Southern season menu in the winter and spring. Throughout the year, Intelligentsia’s team creates a consistent flavor experience, balancing the comfort of familiar flavors with a spirit of adventure and discovery. Look for caramelized sugars, a touch of roastiness, and the natural sweetness that is the hallmark of Intelligentsia’s very best coffees. In addition to a constant supply of freshly brewed coffee in all eateries aboard Scarlet Lady, Ministry of Ground and Ministry of Ground Too powered by Intelligentsia will serve as the ship’s coffee bars, fully equipped with expert baristas and made to order beverages. Intelligentsia’s renowned coffee educators will provide extensive training to all Virgin Voyages baristas. "I judge a city by the quality of its coffee as social conversations cannot start before I've had my daily dose of personality juice,” said Chris Stubbs, Senior Director of Sailor Experience at Virgin Voyages.” We all knew Scarlet Lady needed a special coffee partner prepared by exceptionally trained baristas who can create the perfect cup of coffee to fuel our Sailors' voyages with us. Environmental sustainability and social impact are at the core of Virgin Voyages’ values. The brand’s purpose is to create an Epic Sea Change for All and use business as a force for good, creating positive changes for people and the planet. Those values are shared by Intelligentsia’s team, who focuses on making extraordinary coffee an agent of change. Chicago-based Intelligentsia is a pioneer of coffee’s “third wave”, and the ideals of exceptional quality, transparency, and innovation that define specialty coffee today. Best known for being the first to adopt the direct trade model, a progressive sourcing method where their buying team travels directly to coffee-producing countries to source and collaborate with partners, paying well above fair trade prices. Intelligentsia continues to innovate the industry, elevating every cup to a curated, culinary experience and working with partners to grow the world’s most exceptional coffees. Located in the heart of the ship on deck 7, coffee lovers can gaze out at the sea through a porthole-style window while enjoying their coffee. Designed by Softroom of London, Ministry of Ground features large porthole-style windows designed with their very own window seat so Sailors can gaze out at the ocean while sipping a single-origin coffee. Ministry of Ground has been designed with soft earth-tone finishes and furnished with aquamarine and purple hues for seating, tables and loungers. In addition to great hand-crafted specialty coffees, Sailors visiting Ministry of Ground can indulge in complimentary light cakes and bites with retail items like bags of Intelligentsia Coffee and JoJo loose-leaf teas, coffee cups, kettles and more available for purchase. Ministry of Ground Too is located in The Galley food market, so Sailors can sip their favorite specialty coffee while grabbing a quick bite. Intelligentsia Coffee was founded by Doug Zell and Emily Mange in 1995, in the pursuit of extraordinary coffee. 24 years later, Intelligentsia remains one of specialty coffee’s most pioneering and innovative companies. The Intelligentsia Direct Trade sourcing model has created opportunities for thousands of smallholder coffee farmers around the world and has been adopted by specialty coffee roasters everywhere. Known for their In-Season program and unique single-origin and rotating blends, Intelligentsia provides exclusive, remarkable coffees consumers won’t find anywhere else. There are 13 Intelligentsia coffeebars around the country, six located in their hometown of Chicago, four in Los Angeles, two in Boston and one in New York City. 2019 will welcome three new coffeebars: Hollywood (now open), TWA (spring 2019) and Austin (summer 2019). Follow on social at @IntelligentsiaCoffee on Facebook and Instagram, and @Intelligentsia on Twitter. With its inaugural season scheduled for 2020, Virgin Voyages’ first ship the Scarlet Lady was designed to reflect a yacht’s sleek luxury. Featuring spaces designed by some of the top names in contemporary interiors, the Scarlet Lady will be Adult-by-Design, a sanctuary at sea for the 18+ traveler. A dose of ‘Vitamin Sea’ will be naturally intertwined across the entire ship, with well-being activated through a mix of high-energy moments coupled with relaxation and rejuvenation. The Scarlet Lady will also feature alluring entertainment and 20+ world-class intimate eateries on board. Putting a twist on luxury, which the company refers to as Rebellious Luxe, Virgin Voyages will offer incredible value for its sailors with all restaurants, group fitness classes, soft drinks, and many more Virgin surprises included within the voyage fare. The Scarlet Lady will sail from Miami to the Caribbean in 2020, hosting more than 2,770 sailors and 1,160 amazing crew from around the world. Virgin Voyages are one of the hottest tickets in the cruise industry for their 2020 inaugural season. Luxury Travel Specialist Susan Berman, Believes in and Sells Alot of Silversea Cruises. All Inclusive Luxury Cruising. Don't Miss Out on Free Economy Air and Transfers when Booked at Berman Travel by: April 30, 2019. The Perfect Ships to reach every special corner in 13 countries. Ultra Luxury ALLINCLUSIVE Cruising with No More Than 600 Guests on Board, a Butler for Every Suite and About a One to One Staff To Guest Ratio. This is all inclusive luxury cruising even your unlimited WiFi is included. 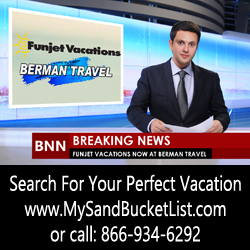 Book it at Berman Travel, Enjoy Free roundtrip economy air and transfers, or low Business Class upgrades. Book it at Berman Travel by April 30, 2019 and benefit from our Last Minute Savings offer and receive $1,000 per suite onboard credit and a one-category suite upgrade on select sailings.